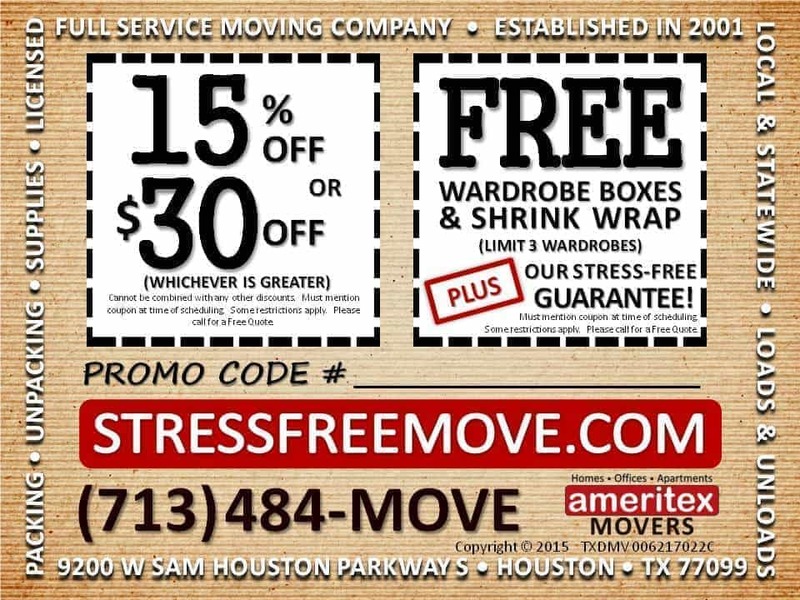 Our goal is to make your next move stress-free, so check out our Stress-Free Deals to help you save time, save money, and help save you from the stress of moving. With every move, we not only offer awesome service, but also free packing supplies like shrink wrap, wardrobe boxes, and more. Call us today for a Stress-Free Quote!